Being real and authentic. Its something I have been thinking about a lot lately. And its something I have done a lot of work on in the last 8 months. In our current world, where there is so much pressure on the pursuit of perfection, where everything is often so public, made available on social media forums and to all and sundry, one can often feel pressurised to only show the good things, to show life as near to perfect as it can be. To bury the bad things, the things which make life somewhat less than perfect, the realities of life. Because the good things are the things that people want to see right? Or at least that is generally what you want to portray anyway. When someone asks how you are in passing, you don’t assume they really want to know, and more often than not the standard response is “Fine thanks.” Life has many many wonderful aspects to it, many rainbows, blessings and privileges. But life isn’t always easy, often very far from it. I believe in being real and authentic. Certainly to your friends and family. To those who really care and want an honest answer when they ask, “How are you?”. The same goes for those that I inquire after. When I ask how you are and take an interest, its not because I am being polite and doing the socially acceptable thing, its because I really want to know. By no means am I saying that one needs to bare ones dirty laundry, or make ones self vulnerable when you don’t feel ready to be. After Bella and Thomas died it was something I struggled with for a while. This ability to be real about what I was feeling. 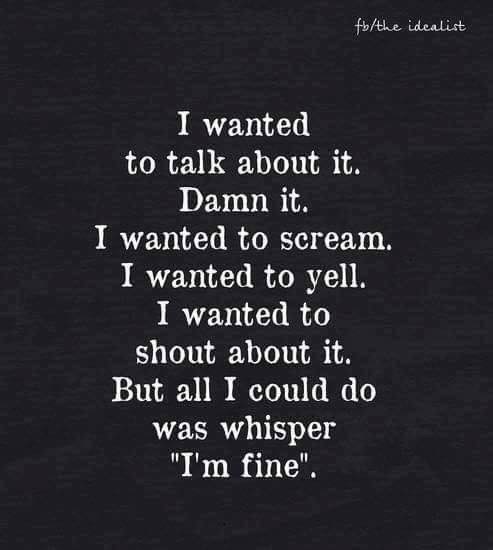 When people asked me how I was, I found it really hard not to just give my standard response of “I am fine thanks.” I didn’t want to come across as a drama queen, or as wallowing in self-pity. I wanted to be okay. I didn’t want people thinking I was falling apart, that I wasn’t coping. I didn’t want to be a downer. Sometimes giving an honest answer can take people by surprise and make them very uncomfortable. They have no idea how to deal with your answer, and that can leave you feeling even worse. But my psychologist helped me to realise how important it is to be real and authentic, especially with those closest to you. I have found that in the last 18 months people have stopped sharing parts of their life with me. I think its often because they feel that what is happening in their lives is small or insignificant compared to what James and I have been through. And I can tell you with 100% certainty that this is not the case. There is no scale that measures challenges and rates them in terms of their impact or importance. What may seem a big thing to somebody may be inconsequential to somebody else, but that’s not the point! Because it is happening to you, and causing you concern or angst, makes it a big thing in your life. It makes it important and something worth talking about and sharing. Don’t hide things because you feel that on a rating scale they don’t compare to somebody else’s trials and tribulations. I have also found that people withhold good news from me, not knowing how I will react or respond. More often than not linked to pregnancies, babies etc. And while these things are hard for me, I can be real about that, its also reality and part of my life. Very early on after Bella died I made a choice that I was not going to let this sort of thing impact on my friendships and my ability to be able to celebrate my friend’s lives and their good news and victories. Just because they had things that I didn’t, or that could make me yearn so deeply for what was taken away from me, I was not going to be resentful of them because of that. When you have courage to share about the challenges in your life, this sharing leads to others feeling that they can also share about their obstacles and trials in a more authentic fashion. Whereas when you know that somebody is struggling with parts of their lives and doesn’t share it with you for a particular reason, it makes sharing with them hard too. I have been constantly amazed at people’s response to us being “real”. In not hiding what we are going through and in sharing honestly our trials and tribulations. It has empowered people to know how to be with us, and to be authentic themselves. It often also removes a level of awkwardness. But trust me, it isn’t easy. Because when you are honest and real like this it’s often very very scary. You have no control over how the other person will react to you. Whether they will sit in your feelings with you, hold your hand, or whether they will step on them, moving on without a backwards glance. When people are real, authentic and have the courage to share I believe it leads to much better and longer lasting friendships over time. Deep friendships that impact, share and carry triumphs and failures, the good and the bad. There will probably be fewer friendships, but they will be great. To be authentic, we must cultivate the courage to be imperfect—and vulnerable. We have to believe that we are fundamentally worthy of love and acceptance, just as we are. I’ve learned that there is no better way to invite more grace, gratitude and joy into our lives than by being authentic. Even when it’s hard, and even when we’re wrestling with the shame and fear of not being good enough. It’s these moments in life that demand we show up – where we let go of who we think we’re supposed to be and embrace who we really are.